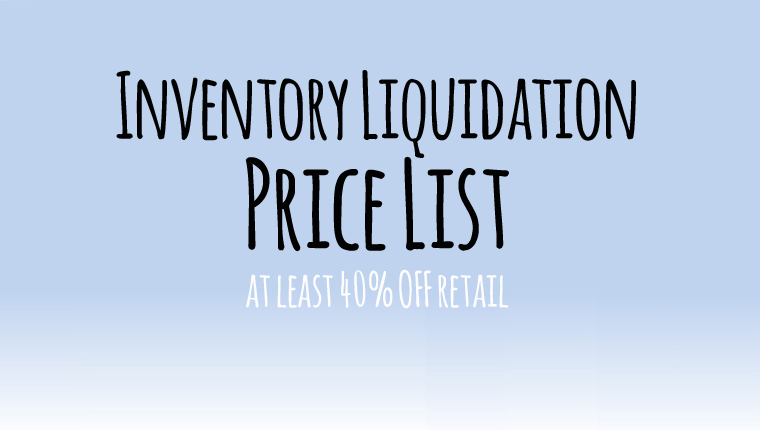 The link below will take you to the Liquidation Price List created by using a Excel Spreadsheet online. (UPDATE – Please be patient, sometimes it takes awhile for the spreadsheet to load all the way. If it times out on you, just try reloading the link. You can sort the list according to brand, size, item, etc… This also gives me the ability to update the list real time as things sell. Links have also been added to descriptions, when available. Having the list this way allows me to deal with orders individually, on a first come first serve basis, at a speed I can handle. 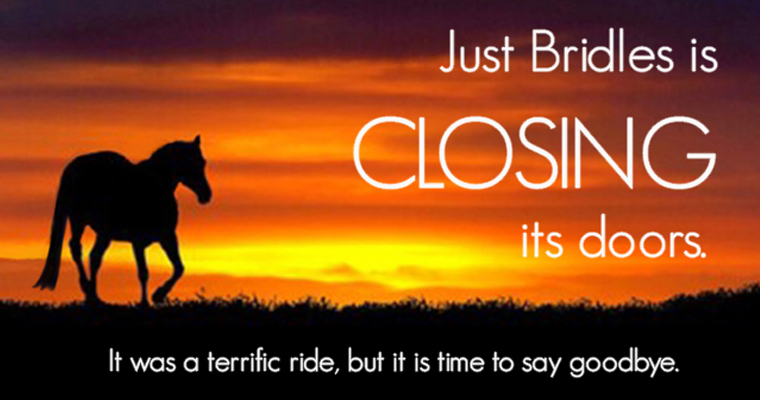 All orders and questions will be handled via EMAIL ONLY at CustomerCare@JustBridles.com. I will not be taking phone calls for orders or questions. This email will be set up with an auto-responder, so you will know your email has gotten through to me. I will personally respond as quickly as I can and your patience is appreciated. The main reason I am closing the business is because have too many demands on my time. So again, I apologize if there is a delay in my responses to your email. – Please include the item number as well as a brief description of the items you would like to purchase. The easiest way is to just highlight the item’s whole line, then copy and paste them into your email body. Please make note of how many you want, if more than one is available. This will help me make sure you are getting the exact items you want. (You will be able to confirm your entire order for accuracy on an Invoice before you make your payment). – Also please include your delivery zip code so that I can calculate shipping. I prefer to ship USPS Priority because in my experience it is the cheapest with my commercial access, as well as the fastest, so this will be the default shipping method I will quote on all orders unless another service is requested. Once an email order is received, I will send you an online Invoice that you will be able to pay from. Invoices will be issued through PayPal, however, you DO NOT need a PayPal account to pay for your order. If you do not have a Paypal account just choose the option to check out the a debit or credit card. ALL SALES ARE FINAL, NO RETURNS WILL BE ACCEPTED.